Yep, you heard it here….. this Spring will be the final Homeschool Youth Soccer League (HYSL) season. The Jarjusey’s intend on taking a year to travel the United States and therefore HYSL will be on hold (at the very least) until our return. In the meantime, let’s enjoy this last chance for a final season with this awesome community of homeschoolers! HYSL is a community run league. For this season, we will have three regions running. 1- Chicago South (Yellow), 2- Chicago North (Blue) and 3- Far North (Orange). (You will note their respective practice times and locations in the registration form below.) 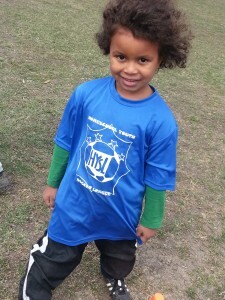 HYSL runs much like the AYSO model (volunteer basis) accept that we accommodate the homeschool families. All ages (3 years up to 18 years) play at the same time, date and location. No schlepping to various fields and locations, or needing to be in 2 or 3 places at the same time. Likewise….. it’s affordable. A family membership is minimal and affordable and everyone will learn something by the end of the season! Each region has a set of **volunteer** parents who help by being coaches, assistant coaches and (1) team parent per region. The idea is that practices are held within respective regions and then the kids also have a chance to play “tournament style” against the other regions in the league. *Also*, as an added perk, the “Family Fun Style” adds the element of parents play too! During the tournament days (of which there will be two this season), parents will get to play against and/or with the kids after the children’s scheduled tournament. Tons of fun had by all. * This season will run SIX weeks. * We begin April 5th and run through May 10th. * Practice times and locations vary per region (see registration form below). * Family Fun Tournament Days are: at 10:00am on April 19th (hosted by Far North in Mundelein), and May 10th (hosted by Chicago North, location T.B.A. with end-of-season cake to celebrate!). * Children must wear cleats and shin guards and have a soccer ball for practices. (Size 4 ball for the 6 years and younger, size 5 ball for the 7 years and older.) Purchase of equipment is the parents’ responsibility. * Since this is the last season (for right now), jersey purchase will be optional. In the past jersey purchase had been with the knowledge that the jersey would carry through many subsequent seasons. Since it is uncertain HYSL will return (or when), jersey purchase is optional this go around. *HOWEVER*….. kids love to match their team mates!!! So if you would like to order a team jersey, the option does exists (see registration form below). NOTE: If you opt not to have a team jersey your child *MUST* be dressed in the same color as the team region on tournament days. * Coaches’ meeting will be held somewhere around the weekend of March 28th (T.B.A.). * Registration for CURRENT/RETURNING members is now through February 1st. * Registration for NEW (and returning) members is open February 2nd through February 28th. ** Once you have completed this online registration form (AND click SUBMIT), visit the SHOP to purchase your family membership and team jerseys. ONE more step!!! Visit the SHOP to purchase your HYSL family membership and jerseys! Thank you for registering for the final HYSL season!!! Halloween Costume Dance Party! – CANCELLED!!! THIS PARTY HAS BEEN CANCELLED DUE TO LOW RSVP/PARTICIPATION. 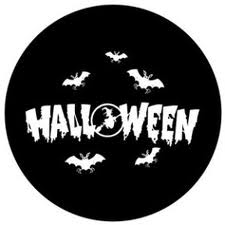 HAVE A WONDERFUL HALLOWEEN WITH YOUR FAMILIES! Mark your calendars for this exciting event! A Halloween Costume Dance party for homeschooling families of all ages! This is intended for families of ALL ages to come on out and have some Halloween FUN! How much? $15 per family to cover the cost of rent and refreshments served. Come in costume! (Yes parents, this means YOU TOO!) Enjoy this holiday with your kids and homeschooling community! Music, decorations, refreshments and great friends! Thanks much! See you then!!! Join us as our fourth season of Homeschool Youth Soccer League (HYSL) begins!!! Our league is expanding and this year HYSL is hoping to go 501c(3) and good things are in the pipeline for us all! (3) pay your family membership and jersey fees if you are a new family, or a family needing replacement shirts…. via the paypal button you will see at the way-bottom-left of this page (keep scrolling). Thank you! Enjoy your summer, and see you in September! September 7th is season opener (1st practice) through November 2nd last day (last tournament). Scrimmage Day/Tournament/Family Fun Day and Picnic: October 12th in the Far North Region as they host us in Mundelein. No Team Evaluation Day this season. * To be clear….. This season will be 6 weeks only. 5 weeks will be in your respective regions with practice, drills and lots of scrimmage time. Our final day will end with a scrimmage day/tournament, family fun day with picnic as well. It will be hosted in Mundelein by the Far North region. This is a low-cost way to keep some sort of season running and HYSL families enjoying their time together. When we commence in the spring, we will be back in full-swing with our full 9 week season and 3 tournaments as well. UPDATE: REGISTRATION FOR THE ALL REGIONS ARE IS CLOSED. Please feel free to subscribe to this RSS feed, or join the yahoo group to retain updates on the spring season registration as it comes up. Thanks so much for your interest in HYSL! HYSL has not become what it is without my devoted volunteers. I am grateful to each and every parent who takes the time to step up to participate, learn, help, assist, coach, team parent, referee, and everything in between. Your assistance is appreciated beyond measure and I realize that this is of a full, volunteer nature. This agreement is designed to be that of a “good-faith” agreement in which I know each person volunteering is taking their commitment seriously and therefore will assist me in all avenues needed to have a safe, successful HYSL season. I hope you find this agreement reasonable and that you will still consider joining the HYSL volunteer team, for without you, HYSL is not possible. I anticipate taking all return volunteers first and foremost. If you are a *new* volunteer, your volunteer agreement form must be accepted in order to receive the same benefits. If we have enough return volunteers, and not in need of the position that you are volunteering for, we will keep you on the ‘help list’ and contact you should we need more assistance. In this instance, your family will still pay their membership fee and register for HYSL as all members do. At this time, all team parent roles are filled. If one should open up it will be announced via the yahoo group and you would come back to this form to fill it out. The main need for EVERY region is for coaches and assistant coaches. In addition, this year, we are in need of referee volunteers and tournament set up volunteers as well. To volunteer for these two positions, you *must* be available for all three tournaments to commit to this position. Again, I greatly appreciate all you do for HYSL! This Saturday is a tournament! This is our very first (ever) travel tournament! See you promptly at 10am for the games to begin! Tournaments are a BUSY time for all coaches. We are in GREAT need of parents to help out on the sidelines with time keeping, calling a ball out, or however else they feel comfortable helping. If you feel you can referee a game, you are hired!!! Coaches need to spend their time and attention on the kids on the fields. So any assistance you can provide is extremely helpful. Please email me directly if you think you can help out: mommy@nakitababy.com. Parents: As usual, be on hand for you children as they will need water or snacks. Please be sure they are in shin guards, cleats (TIED!!! ), and their team jersey. Dress for the weather! Help them be where they need to be when. ** Please check your email before you leave the house (in case of weather changes). Any updates or rescheduling will be done by or before 7:30AM on Saturday. Coaches: Please warm your teams up early. Be prompt and run games on time so that other teams will also get to the fields for their games. Remember everyone is dependent on everyone else. Kids are eager to play, and it is necessary to be timely to give children all of their needed time on the fields. Thanks much!!! See you Saturday!!! 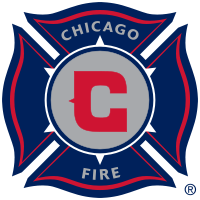 This Summer, HYSL will be coordinating a night at the Chicago Fire! This is open to HYSL members as well as other homeschoolers in the community. The game starts at 7:30pm on Wednesday, July 3rd. There is a pre-game time for the children to be out on the field playing a scrimmage with the first 4 coaches to register for this event (be there by 6pm (likely). There will also be a team photo (HYSL member encouraged to wear your jerseys!!) under the big Chicago Fire sign, on the field! Tailgating with our group before the game as well! Ticket prices are $12 per person. A super deal (compared to the regular $28)! You must register directly with me. All information is on a pdf. flyer (email me for a copy: mommy@nakitababy.com). I am accepting registration now and will announce when the event is full.